Posted by cbrotherson in Commentary, magic of myths devil's trade, magic of myths preview book, preview. 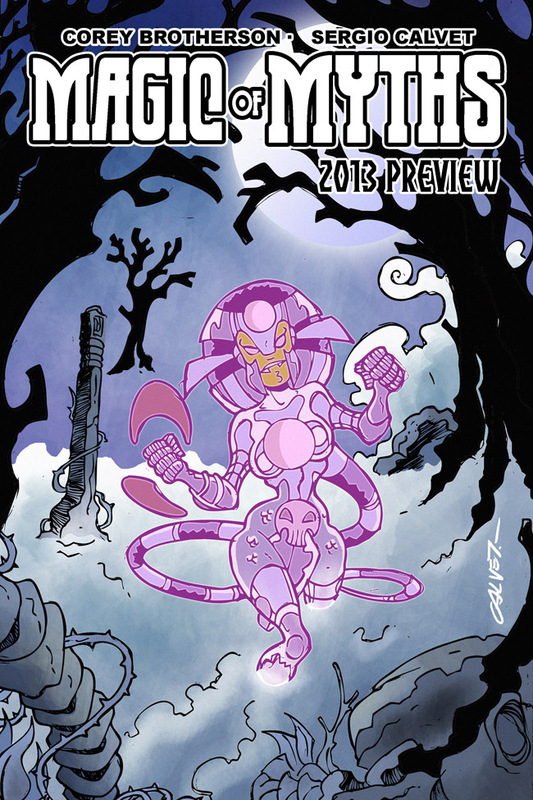 So, let’s take a look at what to expect for the third part of Magic of Myths 2013 preview – and this is where we uncover some (but not all) of our planned surprises. In Magic of Myths 2013 preview we’re not just giving you a sneaky peek of Magic of Myths: season two AND a brand new, self-contained story… we’re offering two more things. The first of which is a batch of artwork pin-ups by guest artists, offering a fresh look at some of the characters from the growing series. As Sergio and I were brought together by Daniel Lundie and his Futurius brand, we thought it would be great to grab him and others from the Futurius alumni for some guest spots on the book. And they’ve delivered some excellent pin-ups. We’ll spotlight all the contributing artists very, very soon. We’re also aware that some of Magic of Myths‘ readers are talented artists themselves, so we’ll be opening up the floor to more guest artist pin-ups in the future. If you’ve got an itch to draw Eve beating down on a fairy tale character or to show Byron chomping on a mythological figure, then get in touch! 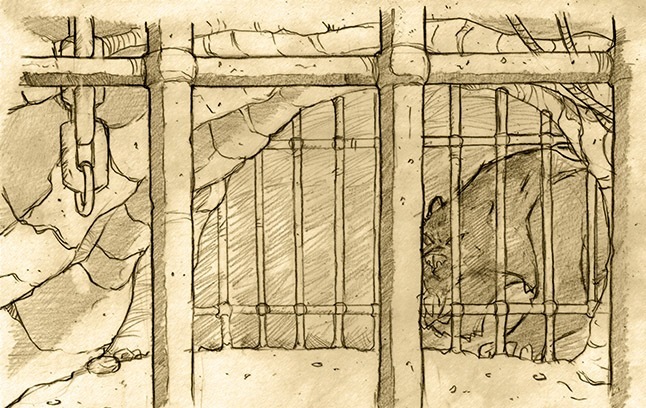 Yup, we’ve got a totally new Magic of Myths story in the pipeline, and you get to read some of it first. Magic of Myths: Devil’s Trade is a novella featuring season one’s ‘bad guys’ V and Byron, telling the tale of the unlikely duo’s first meeting and how they ended up becoming blood spattered collaborating enemies in a distant, magical land. Expect more information on Magic of Myths: Devil’s Trade in the coming months, including a release date. So, now you have an idea of what to expect in Magic of Myths 2013 preview – but we have a couple more bonuses for you. Did someone say, “freebies”…?